Big Bud XXL is an indica that produces a seriously large crop. Here’s how you get seeds for plants that yield up to 1 kilo (2.2 pounds) outdoors. 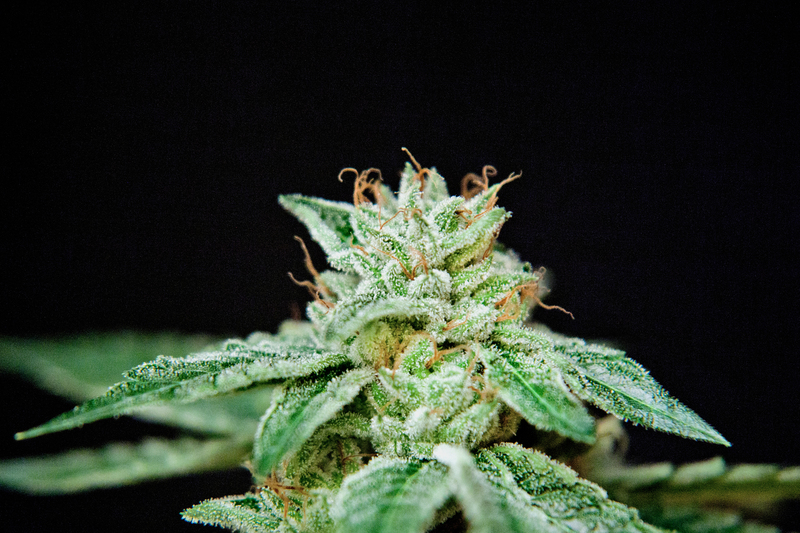 Big Bud, a potent and heavy-handed indica strain, is famous for its exceptional crop. The flowers on this plant can become so large that they snap branches. Big Bud has gone on to parent other, equally high-yielding flowers like Critical Mass. Now, Ministry of Cannabis wants to get rid of some of their outstanding Big Bud XXL feminized seeds. Big Bud XXL is Ministry of Cannabis’s most productive strain. Outdoors, this strain can produce up to a full kilo (2.2 pounds) of flower. The indoor yield is also impressively high, producing between 600 and 700 grams per square meter. Not only does this strain have extremely high yields, but it also boasts a short flowering time. Expect Big Bud to be ready in 49 to 56 days (seven to eight weeks). Big Bud XXL seeds from Ministry of Cannabis are also feminized, ensuring a female flower every time. Unless you live in a Mediterranean climate, you may want to consider raising this lady indoors or under the protection of a greenhouse. However, the fast flowering time of this strain also makes it a great choice for growers who get plenty of good weather into the beginning of October. Nearly 100% indica, consumers can expect a very sedative and goofy high from this bud. The THC in this strain averages about 15%, but don’t let the number fool you. Big Bud is one potent flower. Great for the evening or nighttime, this sleepy bud can cause some heavy lids and a deep feeling of euphoric relaxation. Dreamy and comfortable, this indica is the perfect nightcap after a long day. Ordering Big Bud XXL is easy. Ministry of Cannabis ships worldwide using discrete packaging. All seeds are taken out of their original packing and shipped in clear bags marked with the strain’s initials. All orders ship within 24 and 48 hours, aiding in fast delivery. The company also offers free shipping on all orders over 75€ ($81 US). Orders shipped within the EU and greater Europe often arrive within seven to 14 days. Shipments to North America arrive within 20 days. The company also offers free shipping on all orders over 75€ ($81 US). Orders shipped within the EU and greater Europe often arrive within seven to 14 days. Shipments to North America arrive within 20 days. To order Big Bud XXL, please visit the Ministry of Cannabis site here. Unlike many other seed companies, the folks at Ministry of Cannabis are easily available to answer any questions about their seeds and provide top-notch customer service through the entire process. All customer emails will receive a reply within 24 hours. Ministry of Cannabis also offers a wide selection of other feminized and auto-flowering seeds, making them a great one-stop-shop for bountiful cannabis products. All seeds are hand-picked, ensuring that every specimen is high-quality. All seeds begin to germinate within a few days of planting. For more information on Ministry of Cannabis, please visit ministryofcannabis.com.